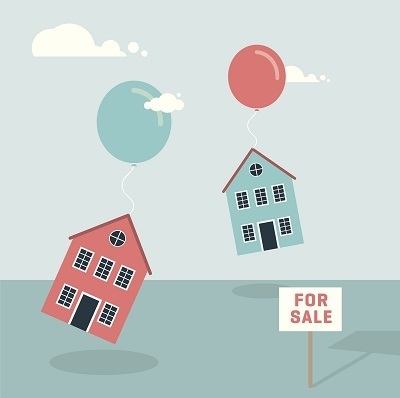 If you’re like most real estate agents, you’re staring down an influx of anxious summer buyers who are competing over a major shortage of inventory (and realizing that home price appreciation and sales prices are rising at historically fast rates). In other words, it’s a great time to represent sellers — if you can find them and get them under contract. Below are four specific ways you can move beyond low inventory to win over seller clients this summer. Today’s homeowners understand that their house’s value is up and that buyers are competing over top properties. They also know that once they sell their home for top dollar, they’re entering that same rabid buyers’ market… where their money won’t go as far and they could be outbid at any second. It’s not exactly a motivating scenario for those who hoped to sell and make a tidy profit on their current residence. As you focus on winning over a listing, pay attention to how much your sellers know about the market. If they seem well-versed on the inventory shortage and spiking home prices, don’t waste your breath with those stats. Instead, pivot to how you can help them achieve their buying goals. Ask direct questions and then research the best communities (in terms of price, inventory and how fast the market is moving) for them as they enter the buying stage. By showing them that you are focused on their long-term journey out of one home and into the next, you’ll prove that you are worthy of taking on their listing. Got a live one? Create a robust promotion plan so you delight your current seller and advance your reputation as a leading local listing agent. Send Just Listed and Just Sold postcards to the entire neighborhood or to top-predicted sellers in the area Build a Facebook ad campaign that targets homeowners within 1-2 miles of your listing. Learn how to set up that campaign from conversion expert Chris Smith. Reinforce your value in your Just Sold campaign by mentioning how quickly the listing sold or how much your seller received over asking. Hold a neighborhood open house on a weekday night and make sure the house is staged to perfection. Chat with each neighbor about how long they’ve been in their home and make casual, easy connections about how their home is similar (or even better in some ways) than your listing. If you recommended repairs or specific changes to your listing before it went on the market, talk to the neighbors about your rationale and how it will help the house sell for top dollar. Your goal is to get them thinking about selling… and maybe even feeling competitive about how their house is just as good as the one listed next door. When there’s low existing inventory, it’s natural to wish you had a better relationship with new construction home developers who are working furiously to match rapidly increasing buyer demand. Spend a few hours a week getting to know local builders and touring their developments — especially those that are in booming neighborhoods in or adjacent to your market area. Now that the residential construction market has picked up, some builders may be returning to spec homes, which are pre-built and offer a limited number of customizations to the buyer. Because spec homes can be completed much faster than custom homes they are a great alternative for buyers have tired of low inventory in the existing homes market but can’t afford to wait six months (or more) to build a home from scratch. By working your way into the new construction market, you can be a terrific local resource for first-time buyers who need better options or repeat buyers who are looking to sell and move up into a newer residence. Remember that really nice buyer you worked with nine years ago? The one you forgot to send a closing gift? Or the one who invited you to their daughter’s grad party… and you forgot to send a gift? To be more realistic, you may have more than one contact like this. But dig into your CRM to unearth a few past clients you really connected with and wished you’d kept up with over the years. Swallow your pride and do your best to reignite your past friendship without mentioning sales or their seller potential. Do your best to reach out and get together with one “lost contact” each month. By rebuilding your base one-by-one over time, you’ll develop deeper relationships and a higher referral potential than any refrigerator magnet could bring you. Strapped for time and low on listings? There’s no better solution than SmartTargeting, a predictive marketing platform that helps you market to and build relationships with predicted sellers in your market area or sphere of influence. Reach out today to see what agents are saying about SmartTargeting. While you're there sign up to get a look at seller predictions in your sphere or local market area — no pressure, and no obligation.